Since it's inception in 2001, reverse mortgages have been more popular among the nation's aging population. A reverse mortgage allows senior citizen homeowners to take advantage of equity in their home and receive lump sum payment, credit line or a monthly cash stipend until their death. The amount of money is based on the age of the homeowner along with the amount of home equity and location of the home. At the time of the death, repayment of the loan will be required, either by repaying the loan via a refinance or using proceeds of the selling of the home to repay the reverse mortgage. A Home Equity Conversion Loan (HECM) is the Federal Housing of Urban Development's (HUD) term for a reverse mortgage. HUD currently insures over 90% of all reverse mortgages in the country. HUD does not actually lend money, but is in charge of overseeing reverse mortgage requirements and terms. Maintain the home with any necessary repairs. Pay homeowners insurance and property taxes. Home must be a primary residence. 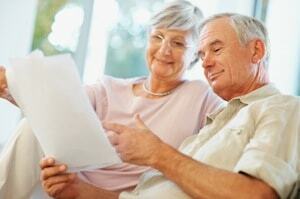 Can I Lose My Home With a Reverse Mortgage? No. Since HUD insures reverse mortgages, they allow you to stay in the home as long as you live or until you decide to see the home as long as you maintain the property in good condition and be current on HOA, insurance and property taxes. All HECM reverse mortgages also prevents you from owing more than the home is worth should the home's property value decline. A lot of senior citizens take comfort in knowing they will never owe more than what their home is worth, especially with the decline in the housing market. Instead of having to live in nursing homes, you can keep your home and live in it. Some opt for seniors assisted living communities.